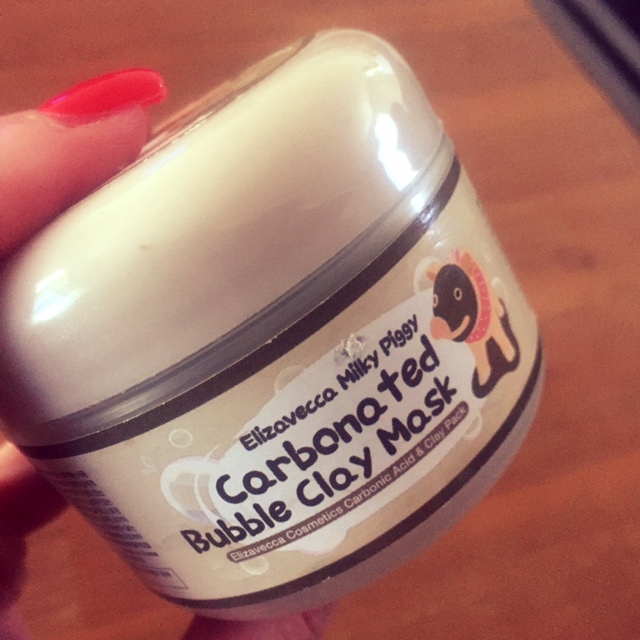 Introducing the Elizavecca Milky Piggy Carbonated Bubble Clay Mask! There are like a hundred reviews of this mask already out there, but I think it deserves a little bit of "love" from my corner of the world. Or loathing. The Elizavecca Milky Piggy Carbonated Bubble Clay Mask, that will from here out be just called CBCM for short, is one of those recent skincaretainment trend products that's had alot of airtime due to its insane bubble-ability once exposed to oxygen, hence spawning sweet selfies (shoutout to my fave zombie mask!) CBCM claims to exfoliate, cleanse, and rid pores of built up grubbines, while containing beneficial skincare ingredients such as collagen, white clay, green tea, lavendar, and the like. Full ingredient list can be found on COSDNA. As you can see above, I've tried this mask quite a few times already! The mask comes packaged in a tub style jar with an inner lid, to stop air from prematurely activating your mask, and a small spatula to assist with application. The mask itself has a very thick and gooey consistency. The jelly texture I assume can be attributed to the collagen contained in the formulation. I actually find this product a bit hard to spread evenly on my skin. I either feel I have way too much on some areas or just not enough at all, and sometimes it begins bubbling before I'm happy with the coverage across my whole face. It activates really quickly when exposed to air, so be sure to keep your inner lid and jar tightly sealed! That sums that up. But seriously, if you are prone to not liking your face feeling like it's being attacked and/or tickled in the least pleasant way possible this mask is not for you. Washing the mask off is a freaking pain. 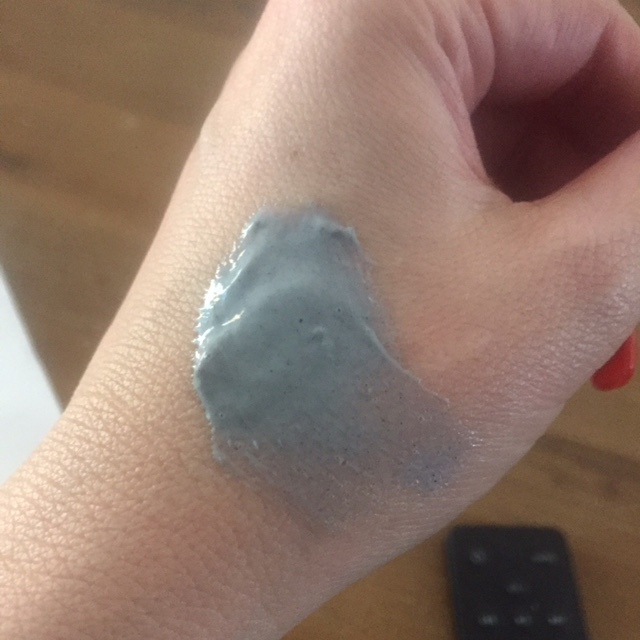 Basically it's like trying to remove wallpaper paste, very gooey and very gross. I've yet to find success getting my face completely clean after using this mask without resulting to using a foaming cleanser and a bit of effort. Maybe that's why I haven't really seen much success with the product? To be honest I think my pores look the same level of clean after using this mask & a cleanser as they do if I simply double cleanse. Hmmm, colour me gray... I mean, not impressed. Would I buy this again? No. But I can't fault it's simple entertainment factor, and there are plenty of other beautyphiles out there that have had some success with this mask, it's just a waste of shelf space for me. So basically, if you're thinking of trying this out keep in mind it may not necessarily be a miracle worker, but at least you'll get a few amusing selfies and snapchats out of the experience!